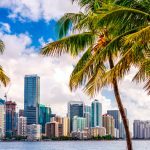 Home prices in Miami rose faster than any other major U.S. city in December, according to the S&P/Case-Shiller Home Price released. Miami home prices rose 0.7% for the month. Nationally, home prices were down 0.1% on average for the month. 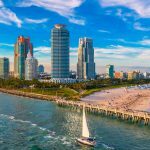 For the full year 2014, Miami ranked second nationwide with an 8.4% rise in prices, behind top-ranked San Francisco’s 9.3% gain. The national average was a 4.6% increase. S&P/Case-Shiller also reported that on average, home prices in Miami remain 31% below the peak prices reached in 2006. Taken from: Staff, TNM. “In December, Prices For Homes In Miami Rose The Fastest Nationwide.” The Next Miami. 24 Feb. 2015. Web. 3 Mar. 2015.